President Donald Trump has found a new, unlikely, ally in his battle against China: billionaire George Soros, a liberal financier whom conservatives often criticize as antagonistic to traditional values. Soros offered a lengthy and robust criticism of the communist country during a private dinner Thursday at the World Economic Forum in Davos, Switzerland. The notoriously anti-Trump philanthropist even took the U.S. president to task for not doubling down on his battles against China. Soros blasted China’s global trade infrastructure project, Belt and Road, as well as Beijing’s push for artificial intelligence and what he described as China’s unfair trade practices. Some observers believe the Belt and Road is a scheme to push for Chinese dominance in global affairs. Soros’ philanthropic group Open Society Foundation is often criticized for pushing a philosophy that conservatives find loathsome. Conservatives believe the foundation pushes policies designed to subvert U.S. institutions. Do you think China is a major international threat to freedom? Soros’ position on China appears to dovetail nicely with Trump’s while at the same time speaking to his concerns about threats to a purely open society. The wealthy progressive also chastised Trump for going easy on China. “Instead of letting ZTE and Huawei off lightly, it needs to crack down on them,” Soros said, referring to two Chinese telecommunications companies working to develop fifth-generation smartphone networks. Canada detained Huawei’s chief financier officer in early December on charges related to Iranian sanctions. 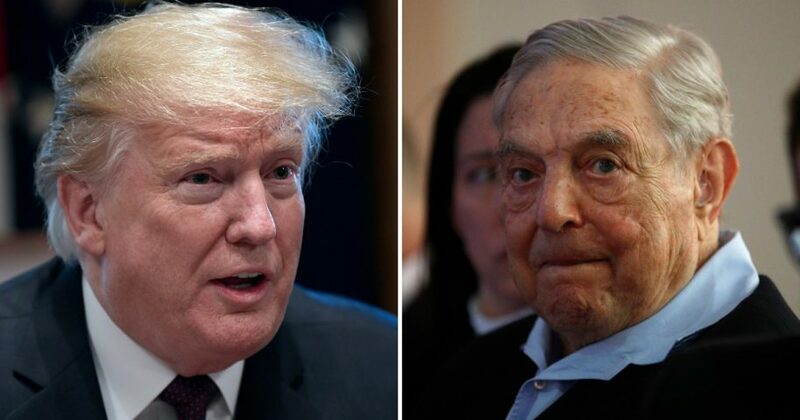 “Regrettably, President Trump seems to be following a different course: make concessions to China and declare victory while renewing his attacks on U.S. allies … This is liable to undermine the U.S. policy objective of curbing China’s abuses and excesses,” Soros added. Trump has meanwhile worked the past few months to turn the screws on Chinese President Xi Jinping. The administration slapped stiff tariffs on $250 billion worth of Chinese products, among a slew of other strong-arm tactics; China returned fire with strategic tariffs of its own. Xi and Trump eventually agreed to a 90-day truce in December and to work toward an agreement. Trump’s attacks against China come amid reports that Volkswagen, Tesla, BMW, Daimler, Ford and GM are among 200 companies transmitting position information and other data to government-backed monitoring centers.